- Get your proposals in by 5pm tomorrow! Kick Start Your Cultural Career! Register now! Many volunteer programs have existed with little or no formal processes and assessments in place. Often, there is no paid staff member who manages the volunteer program. The result is that the programs are often not well run, translating into high volunteer turnover, anemic buy-in from the organization's management and staff, and ultimately, low program success. This webinar will address how to plan for a volunteer program at your history organization or how to improve the program that you currently have. We know having volunteers in the wings who can give eight hours a day is no longer the case. Recruitment is a process that enables the selection of the right people for the right task. Recruitment is understanding the environment where people want to volunteer. That is what this webinar is about, so sign up now. LEARN IT | BUILD IT | MANAGE IT is the first province-wide workshop designed to help nonprofit arts, culture, heritage, faith and community organizations – including theatres, performing arts and community centres, museums, galleries, libraries and places of worship – gain knowledge and skills around building, managing and financing the facilities you have and need, and winning community support for your projects. The University of Leicester has unveiled the world’s first museum studies Massive Open Online Course (Mooc) in partnership with National Museums Liverpool (NML). Moocs are online courses aimed at unlimited participation and open access via the web. The Behind the Scenes at the 21st Century Museum Mooc, developed by Leicester’s School of Museum Studies and NML, will comprise a six-week course of two hours a week. People can sign up from today and the course starts on June 1, 2015. We are hoping that with this change, we will have solved any and all issues that we have been experiencing with our emails as of late. All emails to the old email domain (@museumsontario.com) will be forwarded to our new accounts. Please update your Contact list with our new emails - and note any new emails for staff. 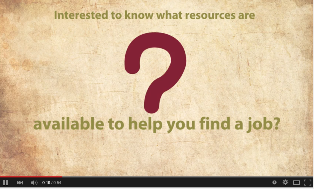 - Sample job descriptions from the Town of Lincoln and the Backus-Page House Museum and Tyrconnell Heritage Society. Not New but Still Great! - The McMichael Canadian Art Collection's The Art of Inclusion: A Guide to Developing and Delivering Accessible and Inclusive Programs within Arts and Cultural Organizations - as profiled at the OMA 2014 Annual Conference and the Centennial College 2015 Making Culture Matter Symposium - Powerpoint Presentation from the OMA 2014 Annual Conference is available online. Forwarding by special arrangement with The Arts Advocate. After a quiet start to the new year, there have been a number of developments in the world of cultural policy: Federally, the NDP and the Liberals are laying out cultural planks of their platforms. The Standing Committee on Canadian Heritage just announced two new studies, one focussed on the film industry, the other on dance. The Canada Council for the Arts has announced a major re-think and redesign of its funding approach and programs. In Ontario, the Ontario Media Development Corporation announced a new Collaboration and Innovation Fund at Digital Dialogues, its annual gathering of its diverse stakeholders held in January. Submit your proposal online via Survey Monkey. As always, proposals are welcome for sessions that address the theme and that explore new and exciting ideas, keeping in mind the breadth and depth of the cultural sector. Please submit your proposal online via Survey Monkey. In light of recently released CMOG requirements and ongoing discussion with the Ministry of Tourism, Culture and Sport to build up Ontario’s museum sector, the OMA Looking Ahead Initiative Institutional Survey information is very important to the continued discussion on Ontario’s museums. Please submit your survey, we need your information to create a comprehensive profile of Ontario’s museum sector. Looking Ahead: It’s not too late for your contribution! 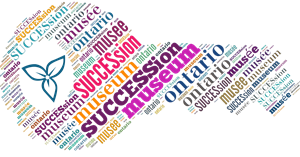 The OMA appreciates your time and contribution to develop a more comprehensive profile of all Ontario museums to demonstrate current activities, sector health, as well as to economic and sociocultural impact of museums on provincial life. We are continuing to collect and gather information from the Institutional Survey, if you have not yet completed yours, if you would like help or have any questions, didn’t receive a survey, or would like to submit your survey please call OMA staff, Joshua Lichty toll-free in Ontario: 1-866-662-8672 or 416-348-8672 or by email. Peter Armstrong and Marie Lalonde at a meeting of the provincial committee for the 400th Anniversary of French presence in Ontario, in Ottawa with reproduction of Astrolabe. Navigateur, cartographe, écrivain, ethnologue, botaniste, explorateur, Samuel de Champlain a marqué l’histoire du Canada par son humanisme et sa vision. Composés d’explorations documentaires et de reconstitutions historiques, la série Le rêve de Champlain plonge dans la vie trépidante de l’explorateur et nous entraîne dans un univers rempli de défis et de découvertes. Dès mars 2015 sur les ondes de TFO. Three area women who faced adversity, prejudice and huge societal challenges in the late 1800s were celebrated on International Women's Day on Sunday. Poet and performer Pauline Johnson, doctor and suffragette Emily Stowe and educator and reformer Adelaide Hunter Hoodless were honoured for the changes they pushed on a male-dominated society. 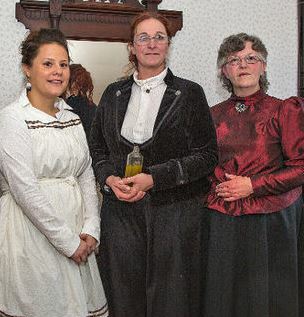 "These three shared a ... strong sense of determination," said amateur historian Deward Yates, who delivered a short lecture on the women's lives Sunday afternoon at the Adelaide Hunter Hoodless Homestead, near St. George. Yates said that the key to success for the women was an opportunity for education. With her mixed European and native heritage, Johnson enjoyed a fine education. Hunter Hoodless grew up near a good school and, as the youngest child in her family, was sent to finishing school. And Stowe, who taught school and was a principal in Brantford, fought to get into medical school. Stowe went on to establish a thriving medical practice despite being denied a licence. In 1880, the regulators finally caved and recognized her as a doctor. 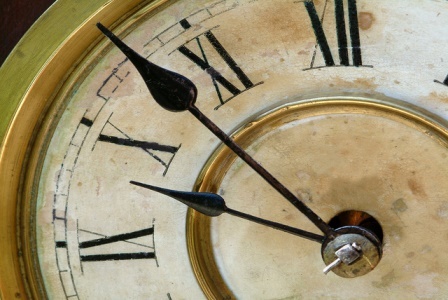 Things are ticking along in collections and we are finally at a stage where we are able to tackle a few projects that have long been on the back burner, waiting for a time when we had adequate (human) resources and other more pressing issues were complete. 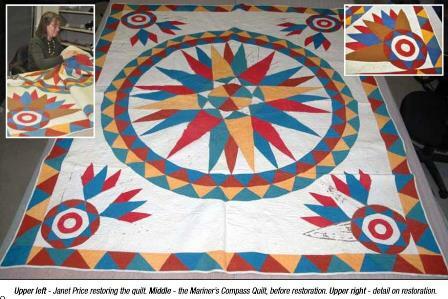 Currently, Janet Price is restoring Grey Roots' Mariner's Compass quilt which was made by Anne Sutherland in 1860. The Sutherlands emigrated from Sutherlandshire (northern) Scotland in 1841, and settled in Sydenham Township, Grey County. The design for this quilt was copied from a pattern in an 1860 book. It was last owned by M. Elizabeth Locke of Owen Sound, Anne Sutherland's great niece. When it was donated to the museum in 1965, the quilt was in very good conidition, except that all 28 of the brown appliqued pieces were missing; but, there were remnants of the brown-coloured material along the appliqued edges, and the quilting, originally on top of the brown appliques, was still in place. This leads us to believe that these pieces were not removed, but rather that a destructive chemical in the dye used to colour these pieces of material disintegrated the cotton over time, leaving only the ground of the quilt and blanks in the compass pattern. ONmuseums is published Thursdays, deadline to submit content is Wednesday at noon. WHAT "HAVE YOU HEARD"? Do you have "people" news that will interest OMA members? 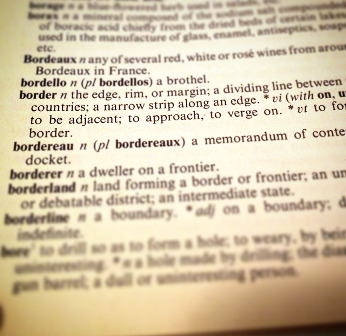 Please send it to us for inclusion in the next ONmuseums. WHAT'S HAPPENING AT YOUR SITE? Were any volunteers honoured at your museum this week? Share your photos as well as news, invitations, tips, achievements - even challenges - with the OMA, by including it in the next edition of ONmuseums!